Government has been urged to strictly enforce the Local Content Regulations governing the extractive industry to ensure that foreign investors give preferential treatment to indigenes in their operations. Fitsum Weldegiorgis, a Senior Researcher for Shaping Sustainable Markets at the International Institute for Environment and Development, United Kingdom, said there should be a policy direction by rich-natural resource countries to ensure the retention of foreign exchange in the local economy to stimulate growth. He called for value addition of the country’s raw minerals locally so that the finished products would receive better pricing on the international markets. He was of the conviction that if the raw mineral resources are processed within the country, they would improve the local economy and create more jobs for the youth. He explained that over the years multinational mining firms have failed to meet the expectations of government and host mining communities concerning the sharing of mineral benefits which often trigger conflicts. Georgette Sakyi-Addo, President of the Accra Mining Network, said the forum has created awareness on the opportunities in the extractive sector value-chain. 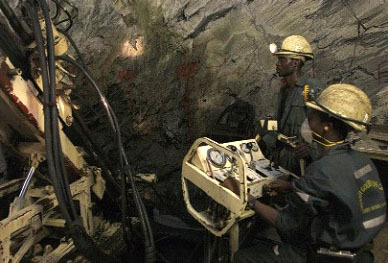 Raymond Kudzawu-D’Pherd, General-Secretary of the Network, said the absence of basic social infrastructure in mining communities could be attributed to the payment of royalties and corporate taxes into the Consolidated Fund, which has made it difficult for mining communities to get their fair share of development.